At Oxford we believe fashion is transitory but style is permanent. Oxford is an iconic Australian brand defined by its relaxed yet modern approach to product design. We value the chance to make something beautiful, meaningful and lasting. 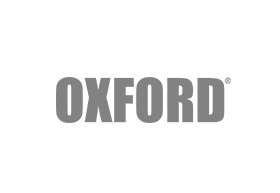 First established in 1978, Oxford quickly earned a reputation as an innovative alternative to many higher priced brands. Taking you from work to weekend; our look is individual and aspirational, successfully combining high quality products for both men and women at affordable prices. Oxford has built a reputation on finding the finest materials and combining with modern design trends - and its signature fine tailoring service. And we do everything possible to ensure our materials and products are sourced responsibly. New products are delivered instore and online three times weekly, allowing collections to evolve constantly so that your shopping experience is always fresh and visually exciting. Our focus on quality and style make it easy to create a look that’s effortlessly elegant – the perfect cut, unique product detailing and beautiful fabrics. The essential items in everyone’s wardrobe.